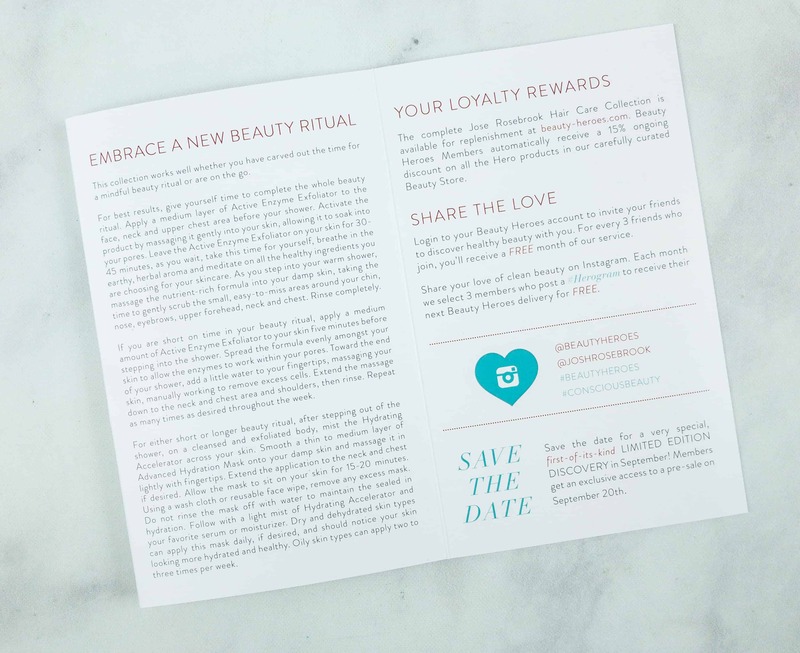 Beauty Heroes is a monthly healthy beauty discovery subscription. 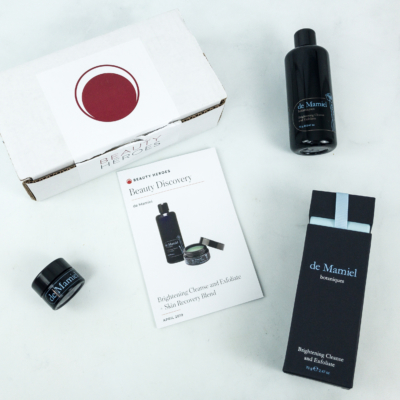 Each box features one full-size product + sample items. 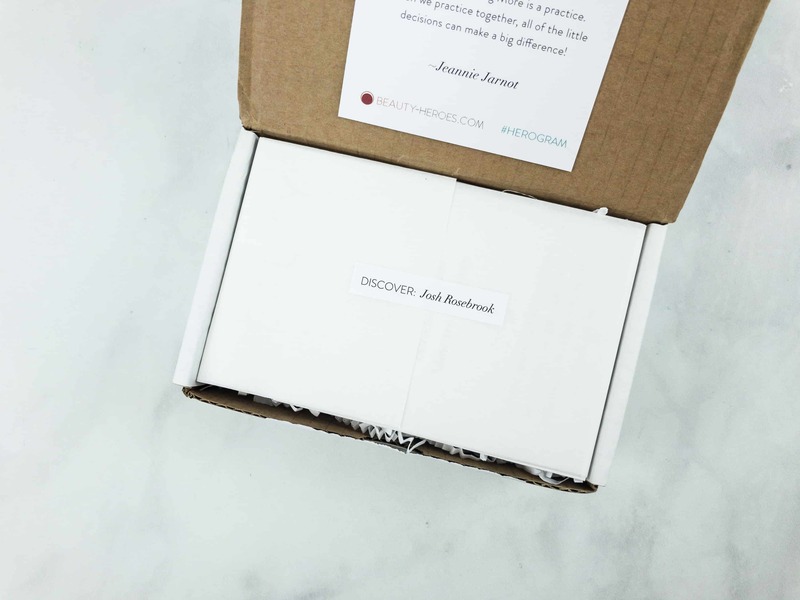 The subscription costs $115 per quarter, and ships monthly. 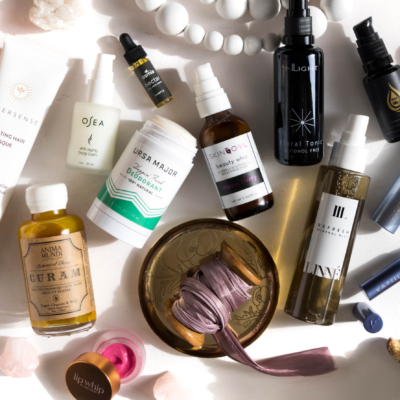 Beauty Heroes members with an active subscription receive an exclusive 15% discount on all the products in the Beauty Store. There’s a very perceptive quote indicated in the card. The products are neatly wrapped in white paper. It’s filled with white squiggles. This is the brand illustration card. It also shows the other products available in their brand. 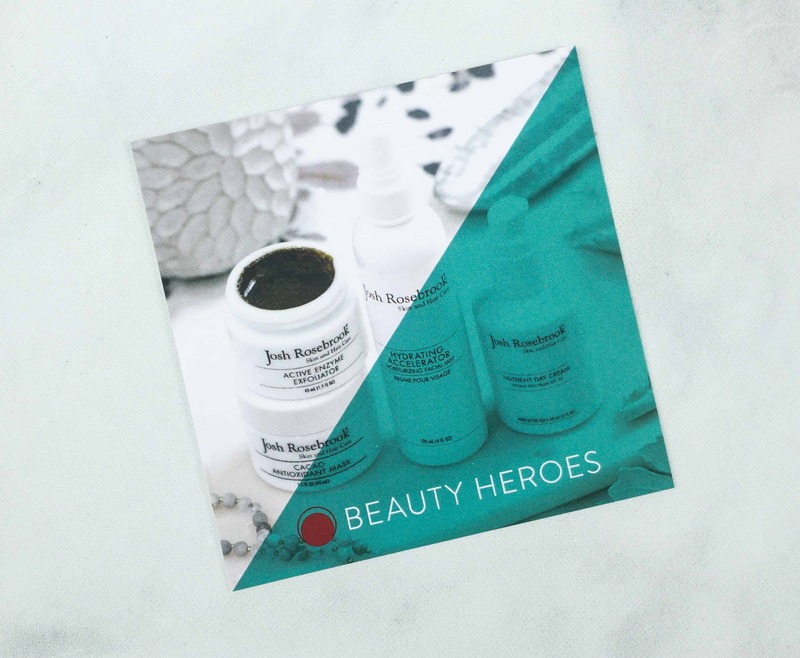 Every month, Beauty Heroes sends a booklet loaded with vital information. 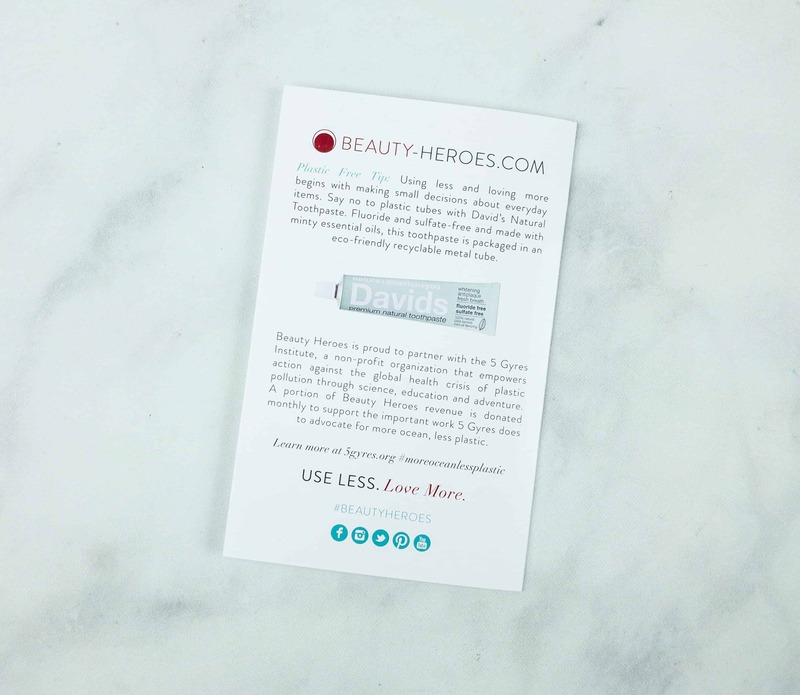 The back of the booklet contains information on David’s Natural Toothpaste and their eco-friendly goals! 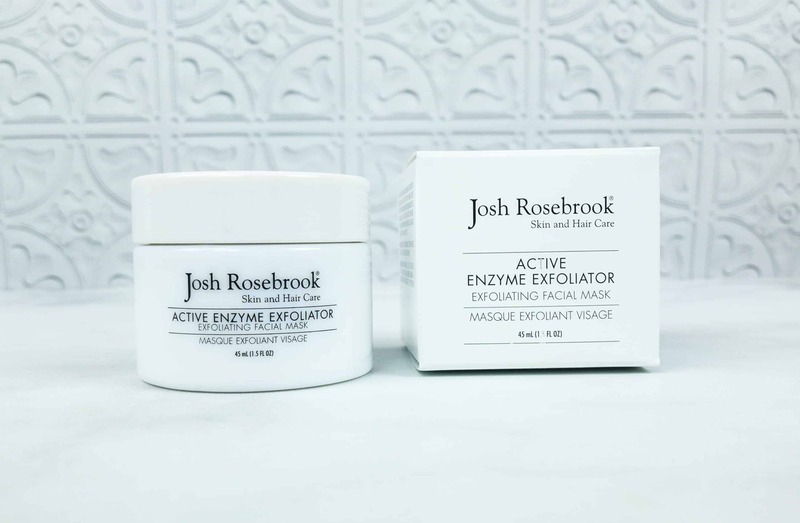 This month’s Hero item is Josh Rosebrook Active Enzyme Exfoliator. 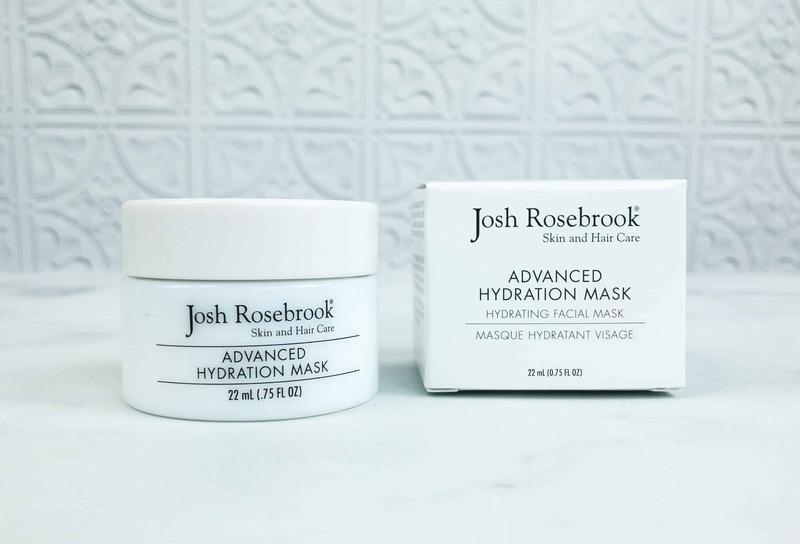 The Sidekick item is Josh Rosebrook Hydrating Accelerator & Advanced Hydration Mask. 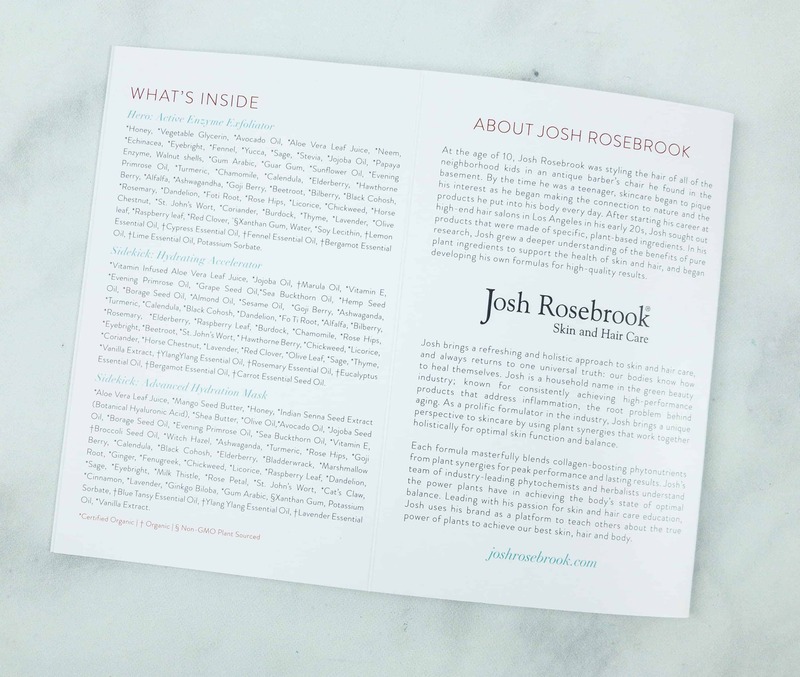 The featured brand for this month is Josh Rosebrook. Each of their formula masterfully blends collagen-boosting phytonutrients from plant synergies for peak performance and lasting results. 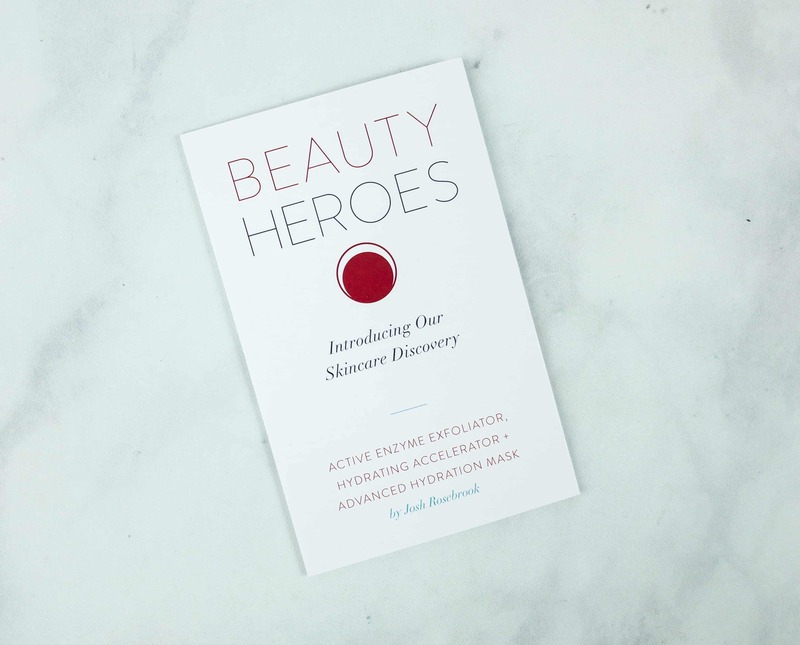 The booklet features a list of the detailed and superpower ingredients of the products and the social handles of Beauty Heroes. 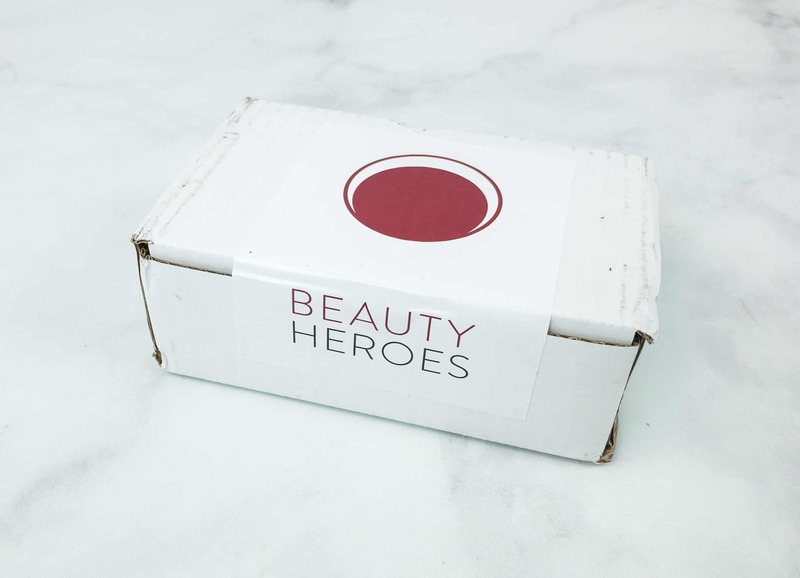 Everything in the September 2018 Beauty Heroes box! 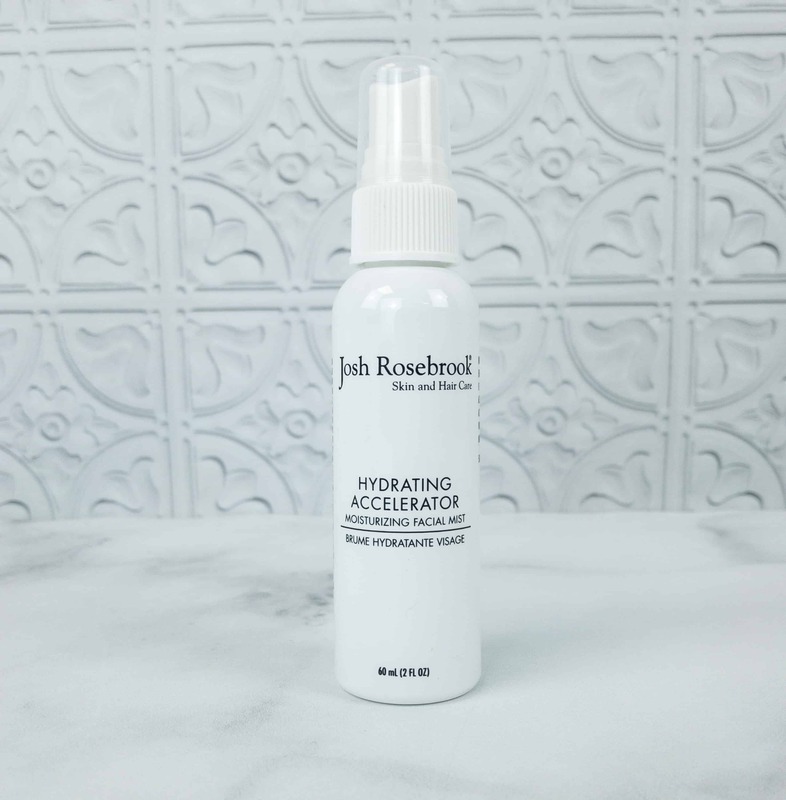 Josh Rosebrook Hydrating Accelerator ($22) One of the sidekicks for this month is this Hydrating Accelerator. This product is a combination of a hydrator, toner, and a light moisturizer. It has organic vitamin-infused aloe water and fatty acids that lower skin surface tension to make the stratum corneum penetrable, as it also enhances delivery of nutrients to the skin. It also boosts the skin structure and reinforces a protective acid mantle barrier, as it calms inflammation and heals the skin. It also sets up the skin to fully receive moisturizing and absorb nutrients from other products such as balms, serums, creams, and oils. 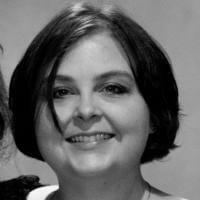 I have used this product previously and adore it! The scent especially is just great and I think it really does boost your skin treatments! 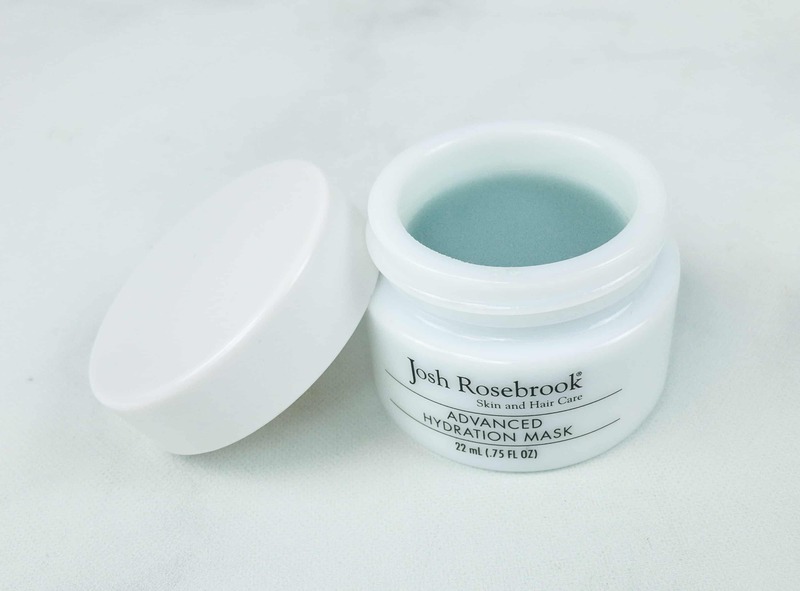 Josh Rosebrook Advanced Hydration Mask ($32.50) Another sidekick product for this month is this Advanced Hydration Mask. It is an innovative treatment which is designed to help replenish and retain maximum skin cell hydration, elevate skin appearance, vitality and function. It has aloe vera, plant oils, and organic actives that deliver potent synergy to support skin regeneration. It is best used for normal to dry, dehydrated, and sensitive skin. All ingredients are non-comedogenic. It also enhances the skin’s ability to hydrate and hold moisture. 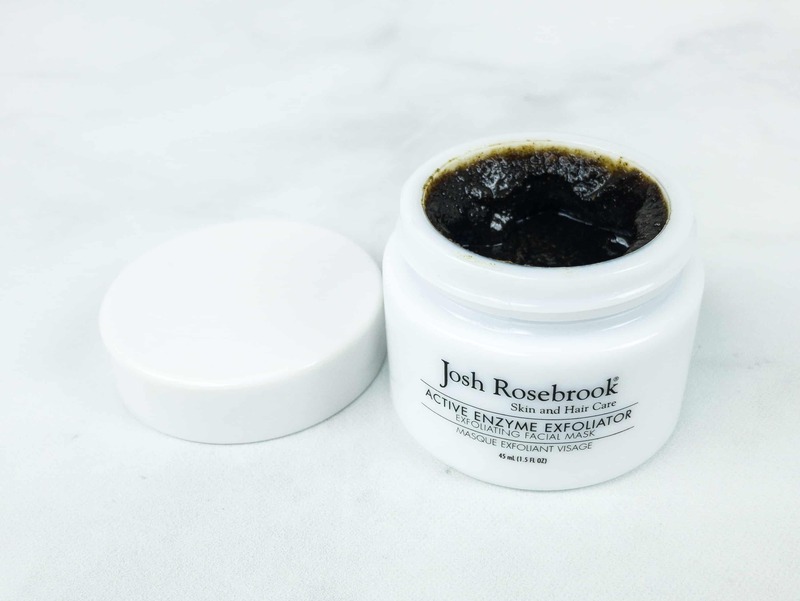 Josh Rosebrook Active Enzyme Exfoliator ($65) The hero for this month is this Active Enzyme Exfoliator. It works to clear, soften, and renew skin. It contains potent fruit and herbal enzymes that gently takes off dead skin cells. With the aid of finely ground walnut shells, it also helps reveal new skin. Aside from the enzymes, it also contains nutrient-dense plant oils and honey that restore moisture, as herbal antioxidants and anti-inflammatory synergies help calm, regenerate, and resets skin’s natural healing. It is best for all skin types and conditions. It helps with skin problems such as acne, rosacea, and psoriasis. It also has a gentle formula that easily renews your skin. My face is soooo smooth! 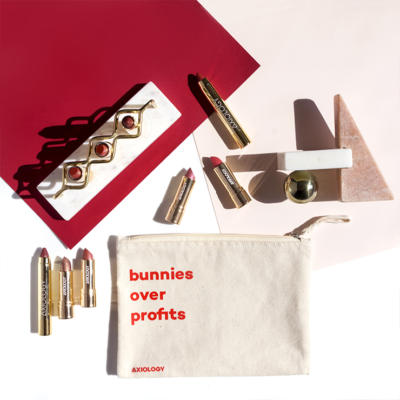 The products this month are real heroes! I also love the fact that I got two sidekicks (which are true heroes as well), aside from the main hero which is the exfoliator. I can start a new skin care routine with these goodies! Retail value is $115.50, and everything’s really worth it. 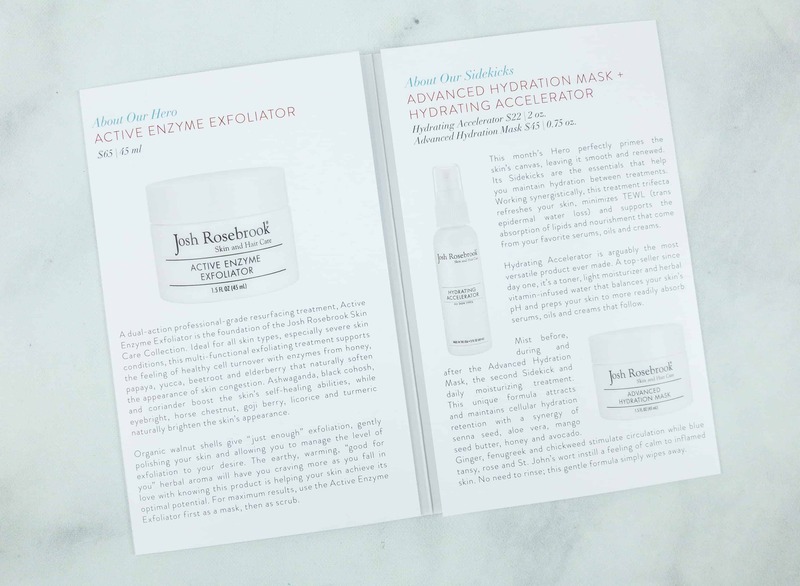 Skin exfoliating is so important as we all need to rid of old skin cells to reveal new ones, and to avoid oily skin and clogged pores where most skin trouble starts! 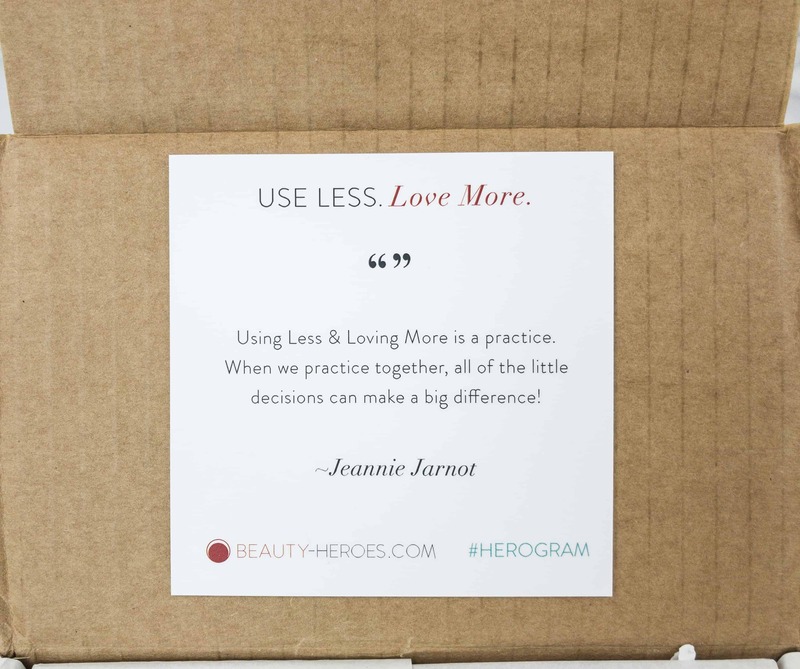 What do you think of this month’s Beauty Heroes box? 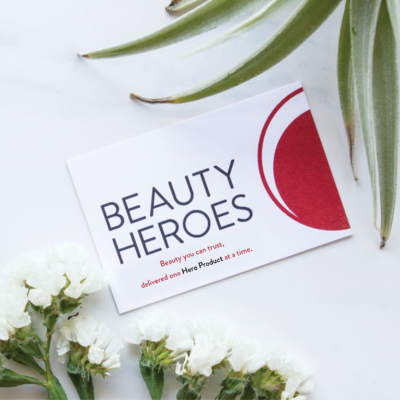 Visit Beauty Heroes to subscribe or find out more!